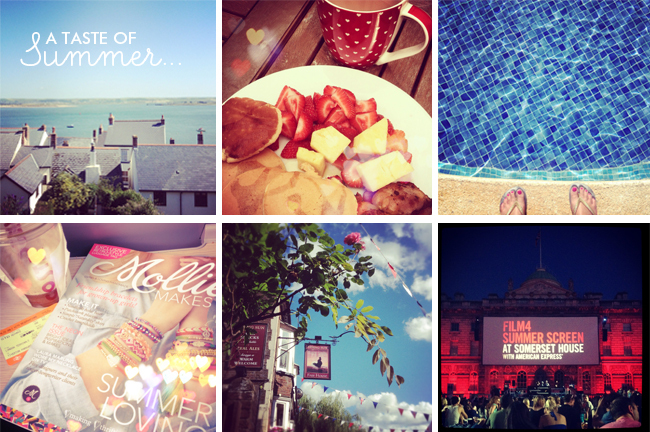 Mischief, Flapjacks, Pantone and Me: She's back and with One Lovely Blog Award! Summer is nearly over and EEK! It's been well over a month since I last had anything to do with my blog, let alone write a post on here. I've had a crazy workload over the last few months and all the fun things have been put very much on a back burner. Yesterday I had the pleasure of meeting the lovely ladies from the London Bloggers Group (we had tea and cake at the lovely Lowry & Baker on Portobello Road ) and they gave me a ticking off for not posting regularly or replying to my comments, so feeling a little bit guilty and mostly INSPIRED by them, I am back to tackle this blogging lark with a vengeance! 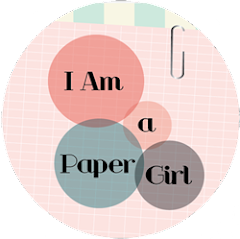 I've even signed up for another round with Holly on BYW Boot Camp in October and looking forward to taking Pugly Pixel's CSS Workshop next week. While I've been away I have been collecting lots of interviews from some very talented creative ladies for 'Mischief Meets' which I will post shortly. I've also been working on some great little projects, bought some gorgeous new books, and not forgetting, received my first copy of the beautiful The Simple Things magazine, plenty to share with you over the coming weeks.....that's if I still have any readers! 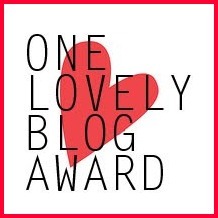 I am also extremely chuffed that back in August, Amy from Simple Style Notebook nominated me for a One Lovely Blog Award. This makes me even more ashamed that I have deserted my blog when I clearly have some very loyal followers, who I add, I am extremely grateful for and thankful for your support. 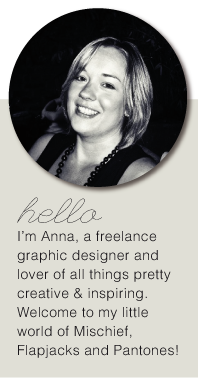 • The person who nominated me Amy, who writes a fabulous style blog Simple Style Notebook. Amy is one of my fellow students from BYW as well as a fellow '30 something'. Her sophisticated blog is full of style inspirations. With a background in the fashion industry she runs her own personal styling business Simple Style Solutions. She would also be one of my nominations had she not been already! - To my family I am only known by my nickname 'Tiggy' not Anna. - I drive a Mini Cooper called Myrtle and I never want to part with her. - I long to get a labrador puppy and totally in love with my Dad's, Lola. - I like to always have fresh flowers in my house. - I love magazines and still have some in their cellophane wrappers which I have never read....SHOCKING I know! It's a small world. Katie is also from the same place I grew up in Cheshire! Thanks Ladies! I was hardly olympic standard in the gymnastics but that's the direction I was working in, had to give up because the training was too much.